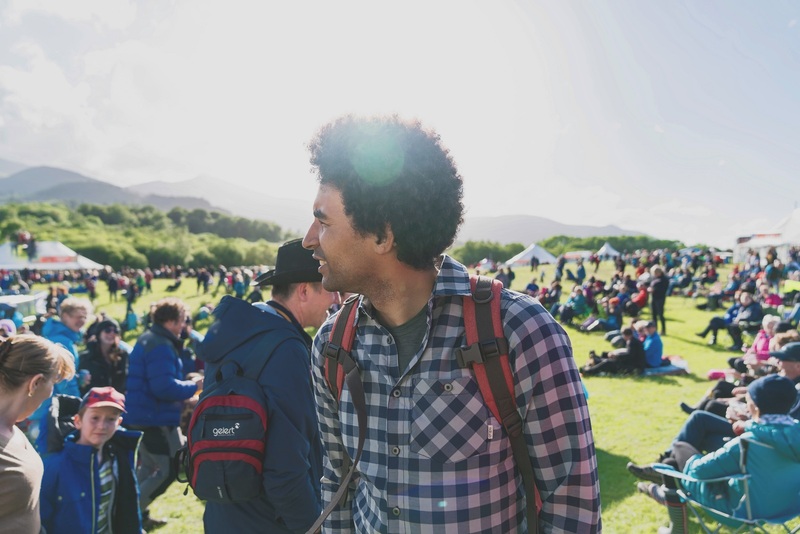 Last month we made our annual pilgrimage to the Lakes for this year’s Keswick Mountain Festival. 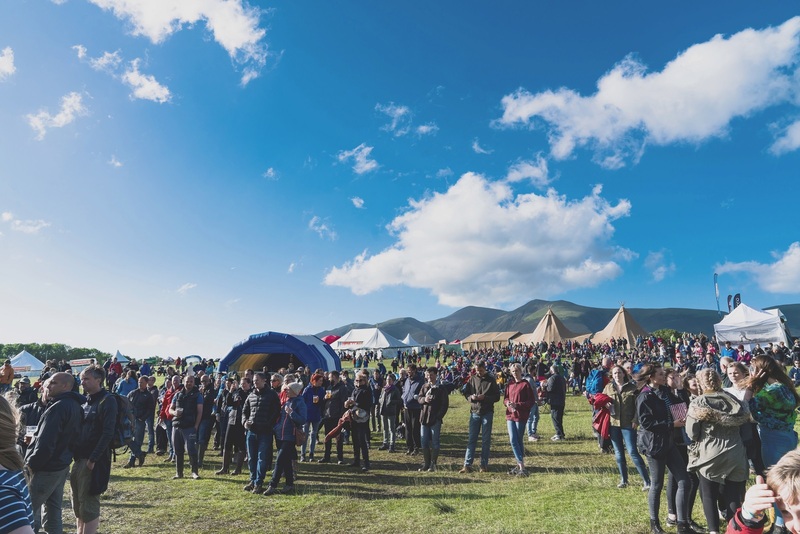 The rain was horizontal and the winds strong but that didn’t dampen the spirits of the thousands who travelled, some hundreds of miles, to one of the UK’s most jaw dropping landscapes, for a weekend of trails, triathlons and tunes. 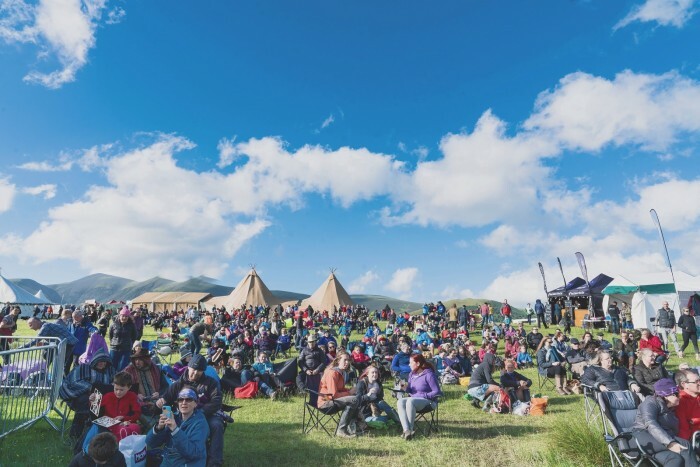 The event was scheduled to run over 3 days, featuring a mix of sports events including trail running, triathlons and kayaking, talks from industry experts including our very own Mike Vassar, and live music on both the Friday and Saturday nights. Day 1 – Some of the Nikwax team opted for a quieter adventure and headed for the hills, taking a boat out on a nearby lake and soaking up the sun. The rest of the team stayed on site. We were swapping high-fives for Nikwax goody bags as trail runners were finishing the 5k and 10k Salomon trail runs. Over on the Nikwax stand we had a fun experiment featuring pairs of Berghaus fleece gloves. We waterproofed one and left the other unproofed. Volunteers, and there were so many we were running out of gloves, would put the pair of gloves on and fully dip them in water. Each time they were amazed at how dry the waterproofed hand was thanks to the water repellency of Nikwax. We didn’t let them leave empty handed and gave Nikwax goody bags to all of our volunteers. 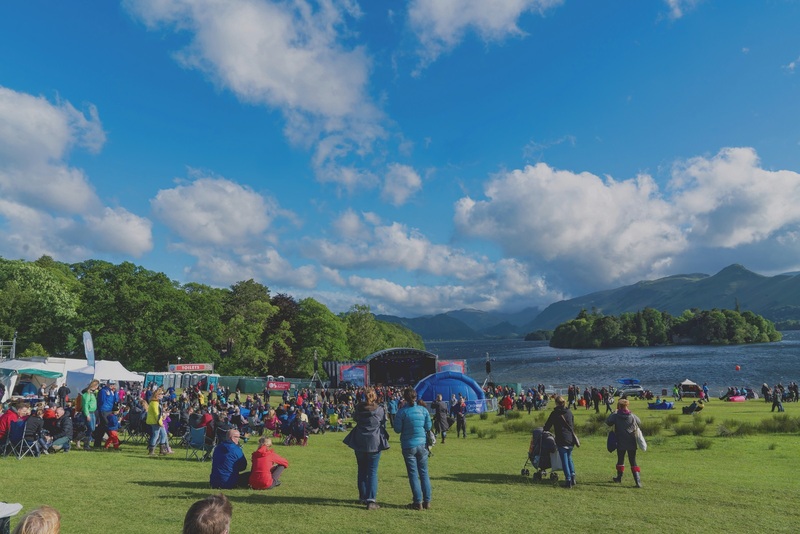 The sports events started to wind down, and the music wind up, where everyone sang along to an Oasis tribute band playing their greatest hits on the main stage. Day 2 – The second day began with ferocious winds but the races and the festival continued. This was the day for longer distances during the events which saw some impressive 20k trail running and the triathlons. Like the first day we were handing out Nikwax goody bags to festival goers and race competitors throughout the day, as the weather switched from harmonious to horrendous, and back, hourly. We were kindly donated the Vango Blade 100 tent that we had on our stand throughout the weekend. We were using it to demo our new Nikwax Tent & Gear Solarwash. As well as waterproofing your tent, it protects against damage from UV light and dirt. Nearing the end of day 2 industry expert and Nikwax Head of Sales, Mike Vassar, held a talk in the KMF Adventure Talk Tipi on waterproofing your gear and why he passionately believes in sustainability in the outdoor industry, something Nikwax have been pioneering for 40 years this year. It went down a storm, and our young volunteer left with more Nikwax goodies. The storm was also brewing outside of the Adventure Talk Tipi, bringing an end to the second day for the outdoor brands, while the music took the crowd into the evening. 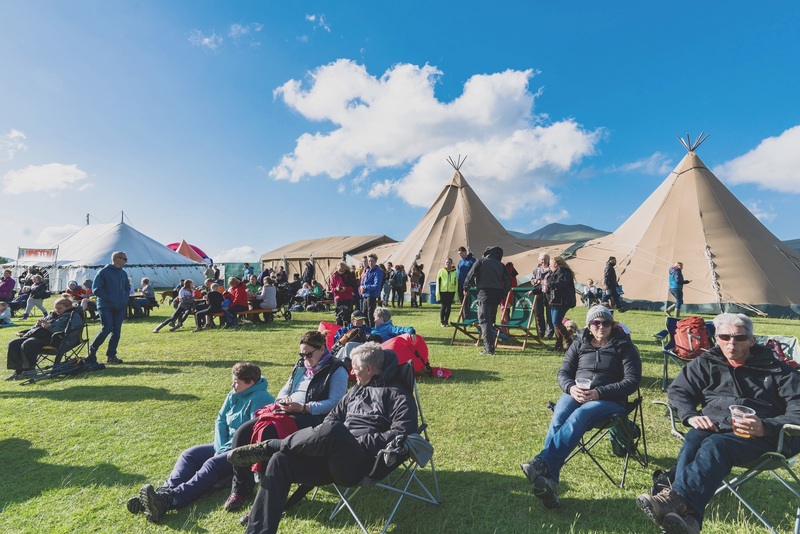 Day 3 – This ended up being the premature end to the festival as strong winds meant that the third day was cancelled. Some of the most adventurous still managed to talk part in the morning triathlon but once finished the festival was abruptly over for the year. It was a fantastic weekend of unpredictable weather, adrenaline fuelled adventurers and lots of free Nikwax. See you at KFM 2018.